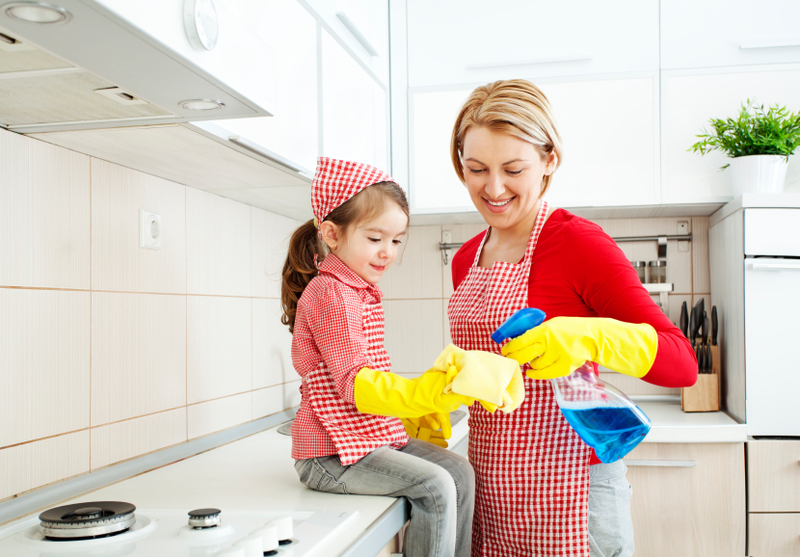 5 Ways to Encourage Kids to Help with the Cleaning! “How to get kids to clean?” is probably a question you ask yourself daily. Getting your kids to clean up after themselves is often a major chore in itself! If you want to add to this a little helping with cleaning, you may encounter a wall of resistance. More often than not a simple “clean up” job exercise with your little one becomes even more of a disaster, resulting in arguments and tears so you will end up just doing it yourself to save your sanity. But it doesn’t have to be that way. Getting your kids involved in the cleaning process can make everyone happy and less stressed and they can actually have fun doing it! The main reason that no one, adults or kids, likes cleaning is that it’s simply not fun enough. Let’s face it; cleaning can be downright boring. However, if you make it interesting, your kids will be much more willing to help. Channel your inner Mary Poppins and make cleaning a game. You can do this by simply creating an incentive: whoever finishes first gets a special prize. This is especially great if your child thrives on competition. They will be much more willing to help if it’s a game to them. If games aren’t their style, try turning it into a giant dance party. That’s right; you have to get into it too. Turn on their favorite songs and dance around and be silly while you clean. Having fun while cleaning will cause that wall of resistance to vanish in no time. Next time, they will offer to help without you even asking. Your idea of clean and your kid’s idea of clean cannot be more different. They may be cleaning to the “best of their ability” but it is nowhere near what you are expecting. To avoid an argument or disappointment or even discouragement, create a checklist of the things you are expecting from each room. Not only does this keep them on track of what they need to do, they can also see the progress they are making by checking off what they’ve already completed. Choose the right chores for your child’s age. Don’t give something major like cleaning the toilet to your five-year old and expect that it’s going to be up to your perfect standards. If you assign age-appropriate chores to your kids, you are more than likely going to get what you are looking for and save a fight or a headache. This works both ways too. You can give your children a chore that may be a little more challenging than they are used to, but use your judgment to decide if they can really do it correctly or if it is something that they will struggle with. This may be a time to “build them up” to a bigger chore by helping mommy do it the first few times before sending them off to tackle it themselves. They will then be confident and know exactly what is expected. This is a great tool for older children who are more than capable of handling bigger chores. Hang a cork board or magnetic board with different envelopes of chores. Add a small amount of money to each chore. If they complete the chore to your expectations, they can keep the money that is in the corresponding envelope. This not only teaches children to help out, but also to work hard for their money. This method can work as a great replacement to a standard allowance, as well. It lets the children decide how much they really want to “make” each week instead of just getting a flat amount of money regardless of what they do. You will be surprised at how hard they work and how well the chores are completed, when it is their money on the line! There is nothing that is more hindering to cleaning than clutter. When things don’t have a home it is nearly impossible to effectively clean, no matter who you are. Before you clean, make sure everything you are putting away has a place. If it doesn’t, it’s time to consider getting rid of it or finding a home for that object! You can’t expect your kids to have great cleaning results if there is no place to put things. Buying shelving or other organizing cabinets can help tremendously with the little items that you can’t part with. If you follow these tips, you are sure to have much more success getting your kids involved with and enjoying helping you clean. This will eliminate stress in the whole family and also free up time for more fun events!